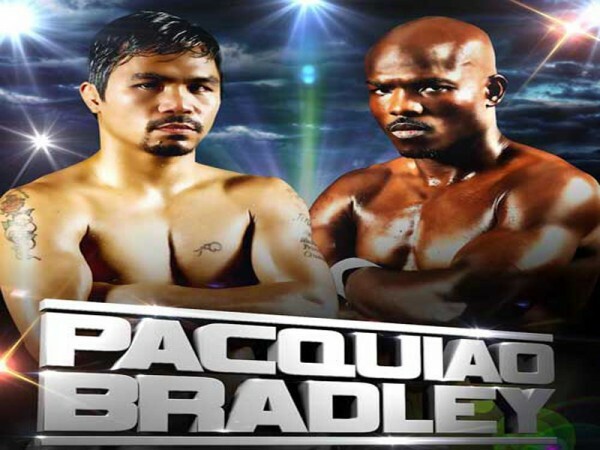 The warrior Pacquiao and the brawler Bradley went to battle for the second time at the MGM Grand Arena in Paradise, Nevada on April 12, 2014. Pacquiao wanted revenge on Bradley, and we all know nothing is better than the feeling of revenge. During their first battle for the welterweight boxing title, Manny landed more punches than Bradley but still came up short. Pacquiao lost by a split decision, losing the WBO welterweight title. This became one of the most controversial fights in boxing history. Leading up to the second fight, Bradley stated that Pacquiao was overall a ‘friendly’ good guy. Pacquiao used all the pressure to win against Bradley as motivation during training; he had to make sure there was not a thought that he did not defeat his opponent this time. During the battle, the good guy turned into an aggressive beast in the ring, throwing 563 total punches, landing 198 and having a 35 pct. while Bradley threw 627, landed 141 and had 22 pct. Pacquiao landed several combinations that made the crowd go crazy. With his lightning speed, electric quickness and elusive ability, Pacquiao was able to dodge punches all night. During the first half of the fight, there was lots of aggression, you can see it as the fighters wildly exchanged blows. Pacquiao landed the harder punches throughout the fight while Bradley make quick jabs. This match was very raw and rugged; each fighter gave it their all, brawling punch for punch for about 4-5 rings. Throughout the fight, Bradley started to taunt and egg on Pacquiao several times. Bradley dropped both of his hands, showboating and trying to sneak a sucker punch. Pacquiao blocked the majority of Bradley’s punches, making Bradley lose his balance a few times. Pacquiao took the victory in with a modest and humble attitude, “ my opponent was throwing power punches, so I had to return the favor“ after the fight. Manny Pacquiao is currently the WBO’s Welterweight boxing champion and also considered one of the best pound-for-pound fighters to step inside a boxing ring.